What is required of a disciple of Christ? How can one reconcile his faith and obedience to the Gospel with the world's cry for freedom, relevance, science and technology? 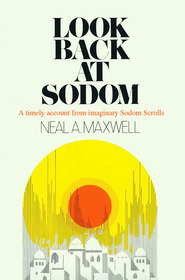 This small volume deals with such dilemmas of discipleship. In his foreword, the author states that "whenever individuals face their time to choose and respond to Jesus’ entreaty to ‘Come ye after me,’ they place their feet on the straight and narrow path where Jesus walked—a path that is always the same with only one gate at journey's end, and Jesus himself is the gatekeeper." This, then, is the message of A Time to Choose: observations of what discipleship means in today's world, the demands it makes of those who follow the Savior, the need to discern and choose the paths that lead to the straight and narrow way, the relevance of Christ's message, and the need for the disciple to be able to articulate and communicate this message at home as well as in the world. The author concludes: "Finally, each of us somehow finds time to do the things we really want to do. 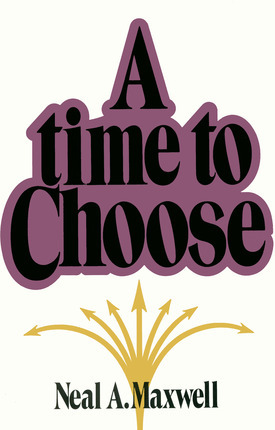 For, ‘there is a time for every purpose and for every work,’ including a time to choose. For some, choosing will be a first experience; for others, seeking to get back on the straight and narrow, it will involve recommitment. Either way, the demands of discipleship are the same, and the earliest one can ever face his time to choose is now!"